A new book, Love Your Enemies, has just hit the shelves. I was instantly drawn to the title. It sounds like spiritual territory, but the author is not a known theological expert, rather he is a think tank leader, Arthur Brooks. A secular perspective-with all its complexities of business, politics, academics, media, and more-is talking about love? It’s hard to love those you disagree with, and nearly impossible to love someone who is hostile and stands against you, Brooks postures. He recognizes our relationships in the speech we use with one another, especially in the words we use to disagree with one another. He does not oppose disagreement and encourages talking through our differences-but he challenges the attitudes we hold behind our words. He characterizes our current polarization as contempt-eye-rolling, dismissive contempt, that arrogantly boasts my truth is the only truth. He asks us to declare “independence from the bitterness washing over our nation” and offers a few ideas on where to start. As a church, we are rightly focused on the Presiding Bishop’s call to follow the Way of Love. We know that by ourselves we cannot overcome our predilections, but by Grace, He can be our guide. So, what does a think tank leader have in common with Jesus, and what can he borrow with sincerity from the Bible? Love. Love your enemies they both say. Stop your eye-rolling. Find love and warm heartedness and you will be healers, if not of others of yourself, healed from the debilitating effects of unhappy, unhealthy, and unattractive characteristics in yourself. Brooks uses scientific study to “prove” this. Jesus knew it, and us, all along. Loving our enemies brings out the best in us. So, in this season of Lent, when we are tempted to roll our eyes at our “enemy,” let’s be reminded that God loves her, Jesus blesses him, just as much as He loves you and me. 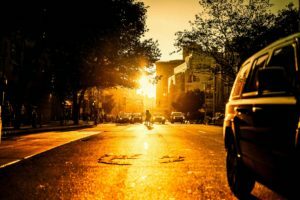 The sun warms and the rains nourish all, and we can be a healing presence at all times. How can God help you, like David, to overcome seemingly impossible odds? 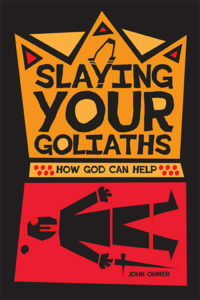 The David and Goliath story offers us spiritual guidance on how to overcome obstacles. Rather than offering “self-help,” the story offers “God-help,” rooted in its history as a story told by people of faith to people of faith. The ancient story of David and Goliath speaks to modern people facing modern problems, offering spiritual guidance and reassurance that God is with us always, even and especially when we face and slay our giants. The Rev. John Ohmer, rector of The Falls Church Episcopal in Virginia, has twenty years of experience as an ordained minister and working pastor. Prior to entering Virginia Theological Seminary in 1994, he worked on Capitol Hill, as well as in his home state of Indiana, as a press secretary and speechwriter.